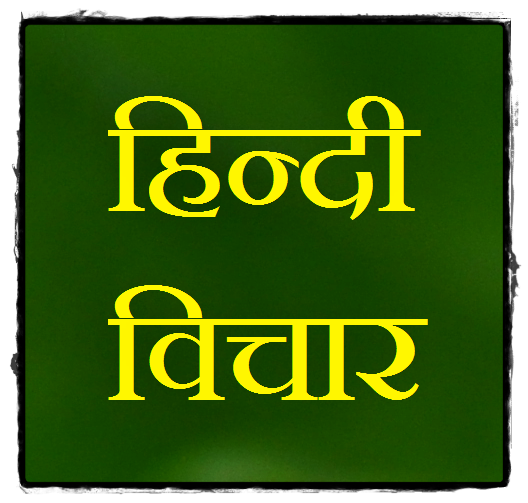 Present Hindi Thoughts is a part of the long journey which is constantly taking shape. This journey started with a collection of Hindi Thoughts from the childhood. I used to have a diary where It was my hobby to write all good thoughts in Hindi and read them again and again when I had time. I found a great treasure of knowledge in this small quotes of two lines. When we go deeply through, these Hindi quotes, then we learn many valuable life lessons which have emerged from the experience of others. Some people may take these small two lines as ordinary things; however, these two lines have the power to change any person's life. Best thing in life is to share the thing which you liked most or which helped you most. So in the form of Hindi Thoughts, I am giving back a collection of wonderful and wise Hindi Thoughts as HD Picture Messages. 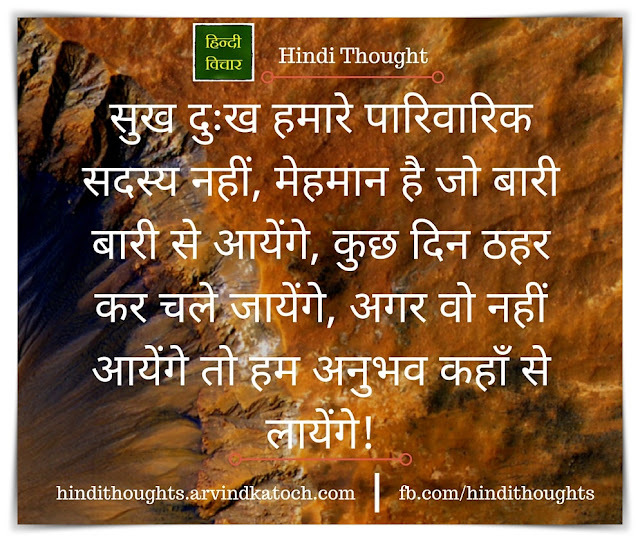 You can say that this online site is my personal collection of Hindi Thoughts because I always try to choose the best of Hindi Thoughts and Quotes which have deep meaning and may provide help to someone. With time, as my thinking matured, I also started writing articles and quotes. You can read hundreds of my original Hindi Thoughts/Quotes on this site. With time, our collection of Hindi Thoughts on this site has increased and we try to cover all the meaningful topics of life. 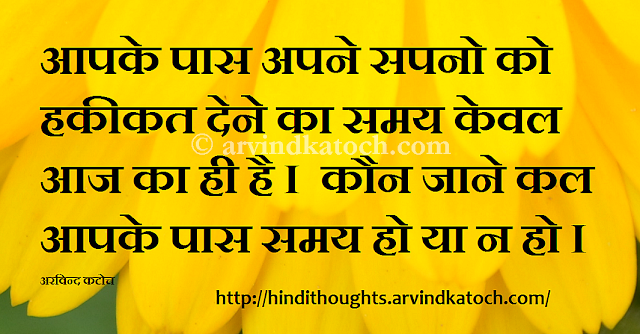 This site has more than 1000 Thoughts and Quotes in Hindi. More than 90% of this Hindi quotes are available as HD quality picture messages. Many Hindi Thoughts uses images from the Arvindkatoch's Photography. 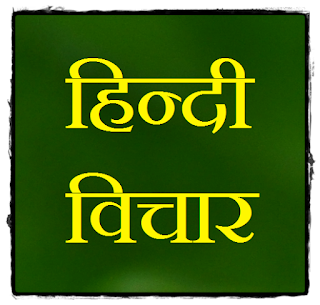 I created this site to help all Hindi Quote lovers who love to read Hindi Thoughts like me. Sometimes, when we need a particular thing, then we don't find it. 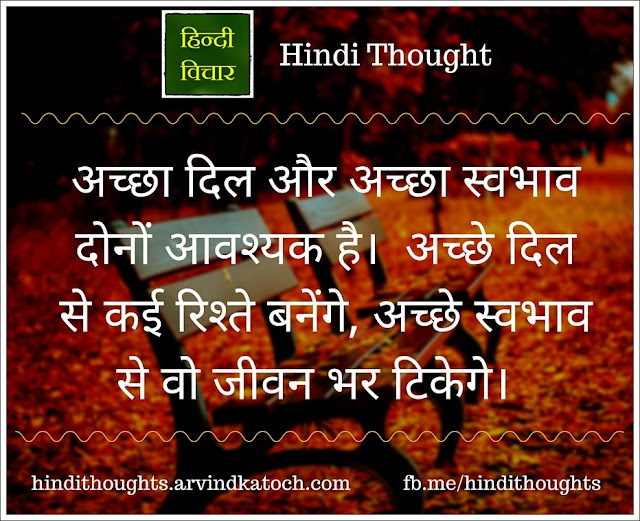 Here Hindi Thought provides help to all these Hindi Thought readers to read the quality Hindi Thoughts. 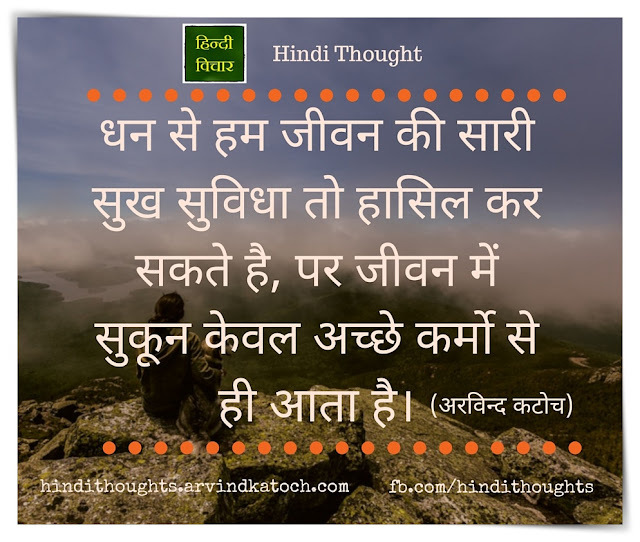 In the last six years, Hindi Thoughts has got lots of love from its readers and we are trying hard in this direction to meet the expectations of Hindi Thoughts. You can read Hindi Thoughts on the Main Website, Mobile Website or through our frAndroidoid app.